Lismore City Council’s current Assets Manager Scott Turner was last night appointed as Acting General Manager by the Council. Scott will take the reins from outgoing General Manager Gary Murphy on 4 June, with a two-week handover period before Gary formally steps down on 15 June. "Council chose Scott for this role due to a strong application and the need for stability moving forward and minimal disruption to the organisation while recruitment of the permanent General Manager takes place," Mayor Isaac Smith said. "I would like to congratulate Scott on his new role and wish him the very best. Council has every faith that Scott can lead and guide Lismore City Council during this time of transition." 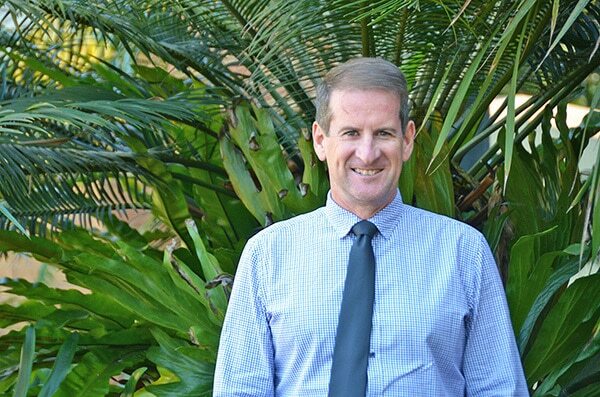 Scott has been with Lismore City Council for 12 years and began his professional career as a Civil Engineer. He worked with Mosman Municipal Council as the Manager of Assets and Engineering Services for more than a decade before moving his family north. As the first asset manager employed at Lismore City Council, Scott has spear-headed the development of asset management plans for all assets and infrastructure across the organisation, ensuring up-to-date data is available to inform Council decision-making. He has a detailed understanding of the infrastructure backlog Council needs to grapple with and has plans to address Council’s asset maintenance issues and financial sustainability. “I’m very humbled to be offered this opportunity by the Council and I am very much looking forward to tackling the role,” he said. “There are clearly some significant challenges for this Council moving forward especially around budget. That will be a key area of focus for me. “We can’t sit around and wait until the next budget process to try and solve our issues. We need to start addressing that now and we shouldn’t underestimate how big the challenges are. “Economic development will also be a key focus for me. We still have businesses in Lismore recovering from the 2017 flood and we need to support them to grow and prosper. I believe there are also some exciting development and grant opportunities around that I think we can tap into moving forward. Scott lives at Tuckombil with his wife Mandy and two children. He is a self-confessed touch football fanatic and is a player referee and coach. He also enjoys snow skiing, travelling, gardening, surfing and the great outdoors. “I would like to say thank you to the Council for this opportunity and I very much look forward to working with them to benefit the Lismore community,” Scott said. Image: Lismore City Council Acting General Manager Scott Turner.